It was the longest local protest against shale gas exploration boreholes in the world. 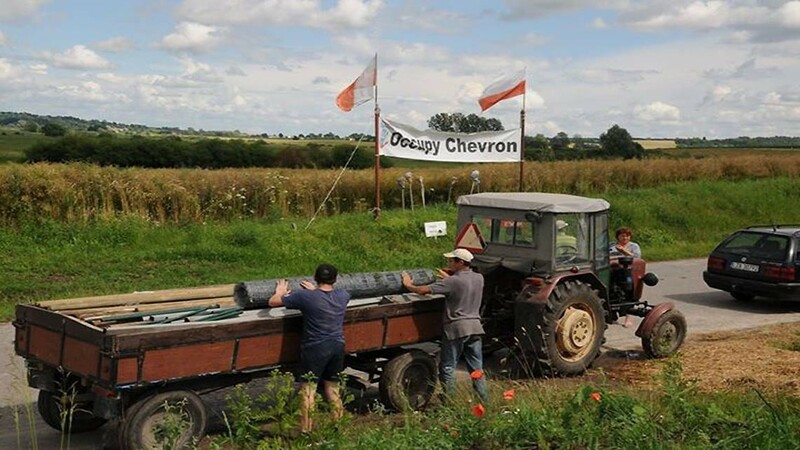 On Monday, July 7th, 2014, at 4 AM, the employees of the American company Chevron left the village Żurawlów in the Lubelskie Region. After 400 days of persisting protest, the farmers, inhabitants and activists managed to stop shale gas drilling. Ewa Sufin-Jacquemart, Roman Kurkiewicz and Magdalena Krysińska-Kałużna comment on this event.